The Sharks ended their association with Reebok at the end of last season, perhaps marking the cutting of the final ties between the UK brand (which has been owned by Adidas since 2005) and top-level rugby. 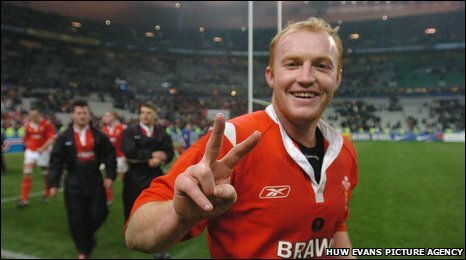 It’s a shame, as some of those mid-2000s Wales shirts have really stood the test of time as classic designs. But, times change, and just as one big brand recedes from the rugby landscape, so new players emerge, and as we’ve discussed before, BLK is making some serious noise in the rugby world. 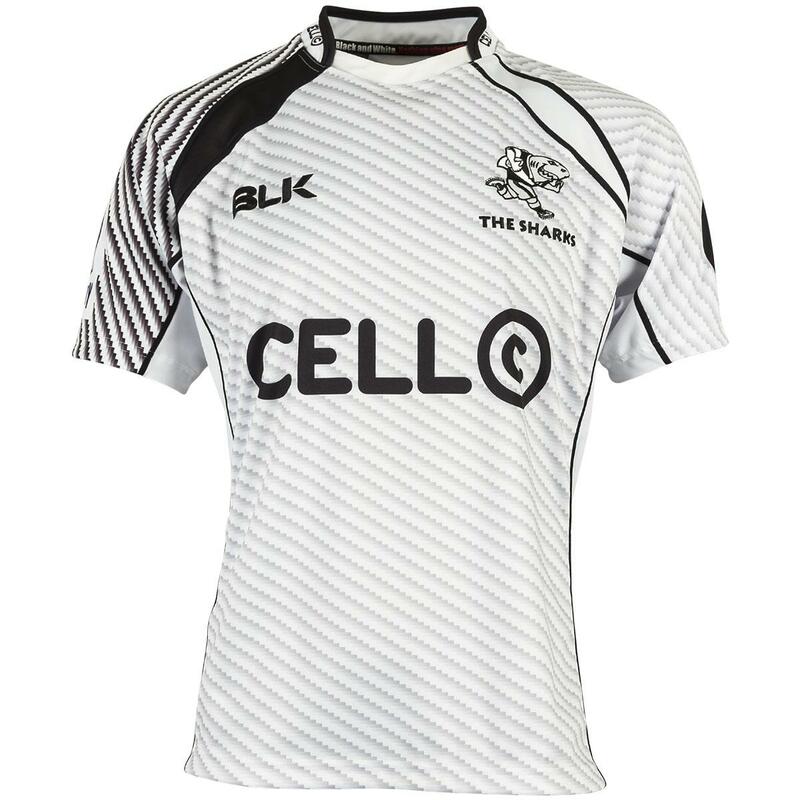 The Sharks are the first South African Super Rugby franchise to sign up with BLK, and it’s interesting to note that the treatment here doesn’t appear to conform to any base design that looks like a cookie-cutter copy of any of the other jerseys we’ve seen. 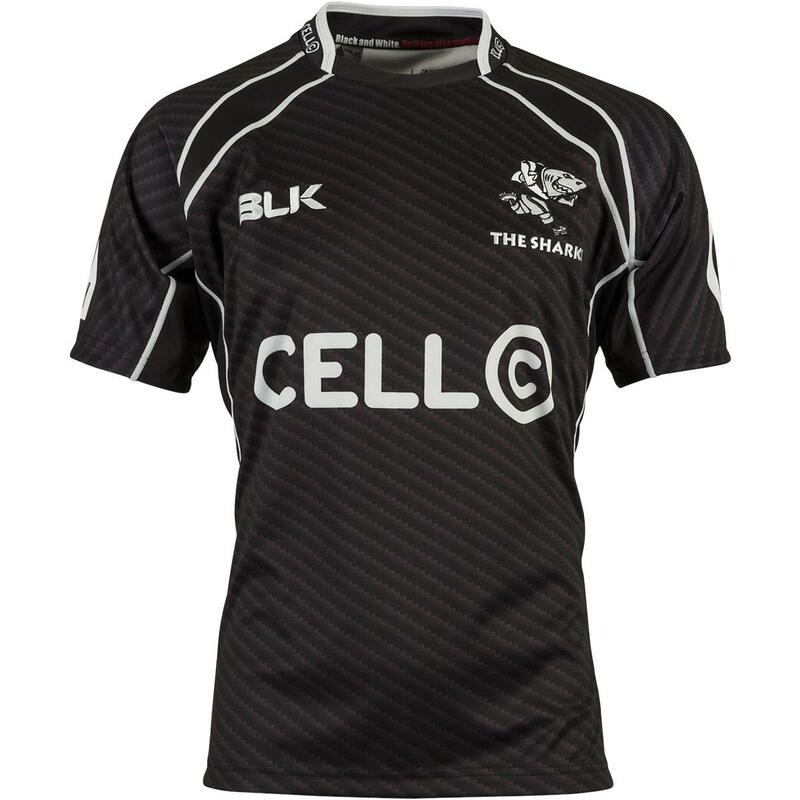 All the BLK Super Rugby shirts have the same basic garment template – the collar and panel design across all four BLK Super Rugby designs is identical – but there’s a refreshing level of freedom in all other aspects. Too often teams get fobbed off with simple palette-swapped jersey designs that could have come from any online kit-designer (we’re looking at you Canterbury, tut tut), but BLK seems to have taken the time, as Adidas did with its New Zealand Super Rugby franchises, and tailored a unique and individual feel to each side. The Sharks have a bit of a problem. It’s the same problem the All Blacks have – their jersey is basically, a black shirt with some bits on it. What do you do with that? Well in recent years, the ethos has been to keep things very, very simple. The problem you have there, however, is that you look like you’ve just come from a wake. Or people come up to you thinking that you’re part of a expressive dance troop (maybe not). BLK has got round this problem pretty well by sublimating an unusual diagonal striped effect onto the front, shoulders and sleeves of the jersey. It ads a almost grey vibe to the shirt, and looks a bit like carbon fibre from a distance. You might not want to walk around with a shirt that looks like its been hewn from the spoiler of a boy racer’s hatchback, but we dig it. The away shirt is basically a flipped template, with the stripes looking more evident as a result. While it’s quite bold, we really like the heavy black stripes on the shoulder – not just because it’s quite striking, but also because it shows a bit of thought and effort going into the design rather than the designer just pressing Ctrl + Alt + Flip The Colours. 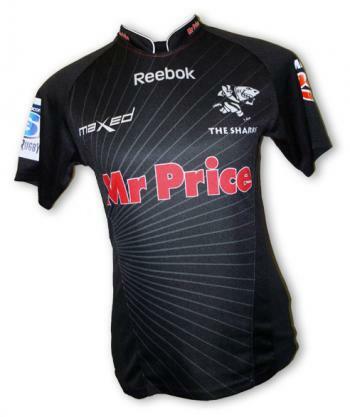 We’re pretty impressed with these new Sharks shirts on the whole – they’re modern and eye-catching, without straying too far into busy territory to make them ugly. We’ve still never seen a shark that’s either al-black or all-white, but to be honest, we don’t live by the sea, so what do we know? Two decent shirts, and another strong showing from BLK.